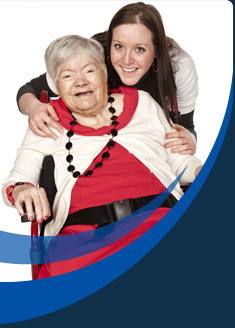 You are here: Home › Members Achievements › Safety in Care Awards etc. The awards were made at a presentation dinner during the National Health and Safety Conference for Social care at Hellidon Lakes Golf and Spa Hotel, Northamptonshire. Winner Best Practice Award -2017. 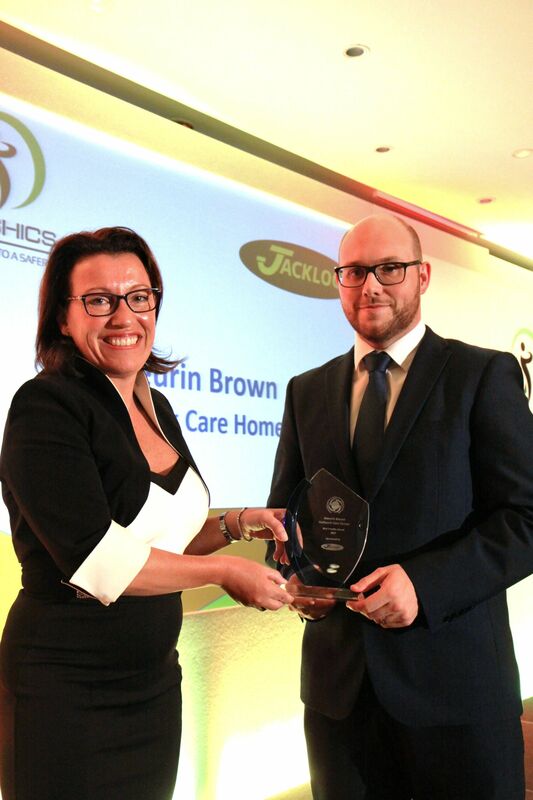 This year it was awarded to Anuerin Brown- Hallmark Care Ltd.
Winner- Learning & Training Award 2017. 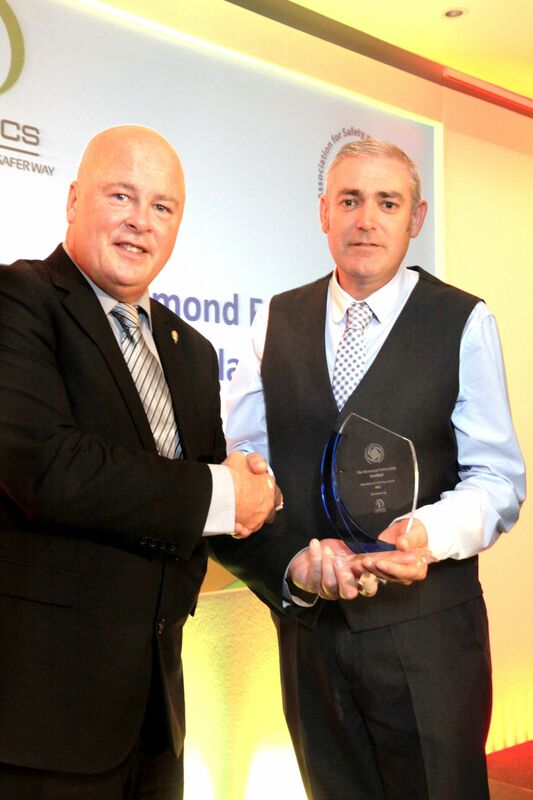 This year it was awarded to The Richmond Fellowship Scotland. Many Congratulations to The Richmond Fellowship Scotland team. Winner – Company or Individual or the year 2017. 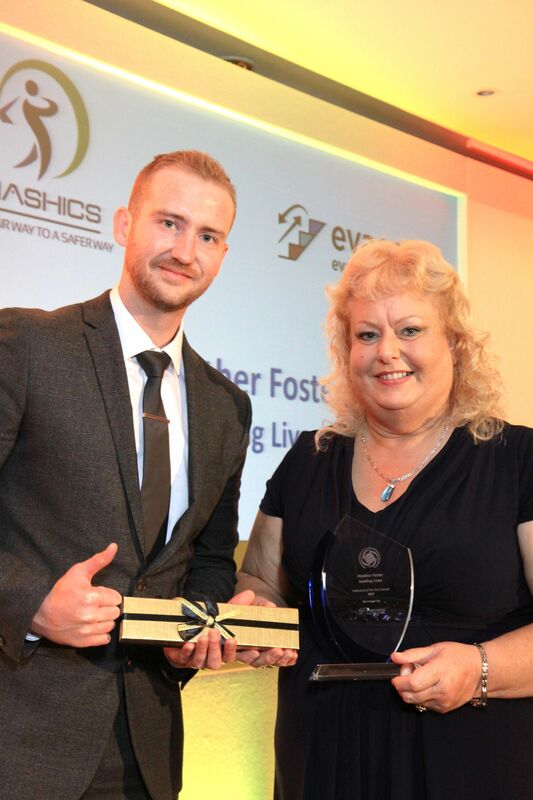 This year it was awarded to Heather Foster, Leading Lives. The award was for the person or company who has made a significant contribution to the improvement and promotion for best practice for safety and health in the care sector. Awards for 2015 & 2016.